Inspired by the 60's original Rallygraf and produced in collaboration with the 205 GTI Classic Club, this reissue will please sports car racing enthusiasts of the legendary French sports car Peugeot 205 GTI. The Peugeot 205 GTI is an iconic French rally car that has become one of the world's most recognised hatchbacks. 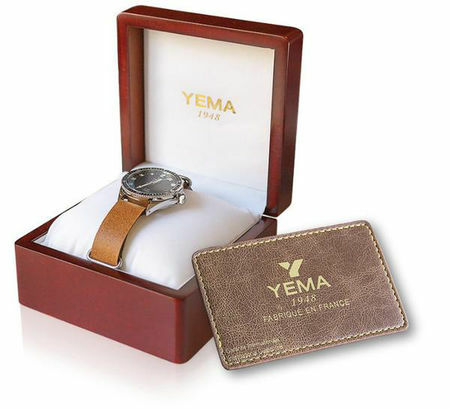 This Yema's Special Edition main dial has two sub-dials recalling the shape of a car dashboard. The famous red bands recall the specific color codes of the 205 GTI, which are also found on the stitched leather Rally band. Designed and assembled in France, they are equipped with a tachymeter, a chronograph and a "Rally" bracelet for a resolutely Rallygraf and vintage look!